Beijing based Hanergy is China`s largest, privately owned, producer of renewable energy. The group operates in the hydropower, wind power and the solar power fields, whilst it`s focus has now shifted towards the latter, the company has become the largest thin film solar panel producer in the world and has a presence in Europe, North America and Asia-Pacific. The company was featured in the MIT Technology Review’s “50 Smartest Companies of 2014” ranking, due to its almost 1000 patents, mostly related to photovoltaic innovation. Currently Hanergy’s installed capacity for hydropower exceeds 6 GW, whilst the same figure for wind power stands at 131 MW according to the company’s reports. The company also has the world’s largest, privately built, power station, Jin’anqiao. Its Wind power plants are in Jiangsu and Ningxia provinces. However, today, the core business and focus of the company is the development and production of photovoltaic panels. Hanergy has made striking progress in becoming a global leader in the field, considering it only started the development of its photovoltaic arm 5 years ago. Local media in Guangdong, province where Hanergy launched its solar panel operations, coined new term – “Hanergy speed”. The company claims its annual capacity for producing PV panels is now over 3 GW, which would translate to 4 billions kWh of electricity annually. The group has signed construction agreements for solar power plants with a 4 GW total capacity in Inner Mongolia, Ningxia, Jiangsu, Hainan, Shandong, Hebei and other provinces, as well as in several European countries. Hanergy focuses on thin film photovoltaic solar panels. Production line start-up costs are relatively high whilst efficiency is lower than traditional silicon panels, but the lower production costs and consistently improving transformation rate should increase thin film panels commercial attractiveness. Over supply in the solar industry forced numerous companies out of business, some of which were rescued by Hanergy Solar Group (HNS), in which Hanergy Group acquired a controlling stake in February this year. Hanergy Group and Hanergy Solar Group have been aggressively expanding in both the domestic and international markets. It recently signed a partnership with IKEA, where it will furbish its retail stores with solar panels in the UK and China. Furthermore, by acquiring MiaSole and Global Solar Energy in the US and Solibro in Germany it has significantly strengthened its R&D capacity The latter has been working on improving conversion efficiency of Copper Indium Gallium and Selenium (CIGS) panels since the acquisition, with highest efficiency rate of patented panels being 15.5% conversion, while the latest lab tests are reaching 19.6% conversion: meaning about a fifth of sun’s radiation is being converted into electricity. Moreover, Hanergy has signed an agreement with Aston Martin Racing, and will explore possibilities of solar technology application in motorsports. However, despite all positive news, Hanergy’s future plans seem to be both risky and reliant on Governmental patronage. The group’s investments into wind and solar farms are only 30% - 40% funded by the Hanergy itself, the rest of the capital usually coming from local governments. If Hanergy fulfills its expansion plans, it will have a solar panel production capacity of around 6.6 GW, while globally added capacity was just less than 40 GW last year, with a quarter of it coming from China. It believes that its markets success is dependent on it`s development and delivery to customers of its latest CIGS panels and considering Hanergy does not currently figure among the top sellers globally, all will indeed depend upon the volume of its CIGS panels shipped to end users. Hanergy Board chairman & CEO Li Hejun launched 4 new fully solar powered vehicles. The new series of vehicles includes the Solar O, Solar L and Solar A and sports car 'Hanergy Solar R” each targeted at different groups of users. With a solar energy conversion rate of 31.6%, Hanergy's gallium arsenide (GaAs) dual-junction solar cell was awarded with a World Record Certificate by the World Record Association at the launch event. Previously, on 5 January, the technology had been recognized by the US National Renewable Energy Laboratory (NREL) for its record efficiency. The four new full-solar-power vehicles are integrated with flexible, highly efficient GaAs solar cells, maximizing the area covered (3.5-7.5m2). Through a series of precise control and managing systems (including a photoelectric conversion system, an energy storage system and an intelligent control system), the zero-emission vehicles use solar energy as the main driving force. With 5-6 hours of sunlight, the thin-film solar cells can generate 8-10kW-hr of power per day, allowing the vehicle to travel about 80km (equivalent to over 20,000km annually), and hence satisfying the requirements for city driving under normal circumstances. Users can manage different travelling and weather modes in a real-time, mobile, networked and smart way, selecting charging modes in accordance with varied weather conditions through Apps on their mobiles. In everyday-use mode, the vehicles can charge themselves with solar energy while traveling, making 'zero charging' possible for medium- and short-distance journeys. So, unlike traditional electric vehicles, the full-solar-power vehicles hence no longer need to rely on charging posts, eliminating the concept of 'distance per charge'. For weak sunlight or long-distance travel, the lithium batteries in the vehicle can get power from charging posts, enabling them to travel a maximum of 350km per charge. 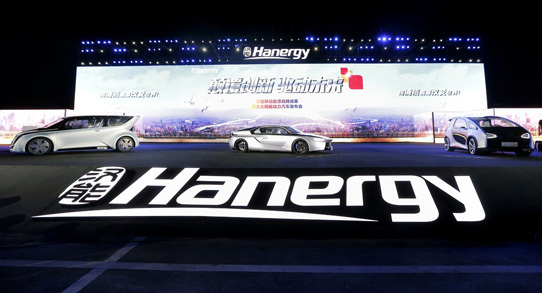 Hanergy claims that the four new vehicles are the first full thin-film solar power vehicles that can be commercialized, breaking the bottleneck of poor practicality of previous solar-powered vehicles. The firm has also signed a framework agreement with Foton Motor to cooperate on developing clean energy buses. 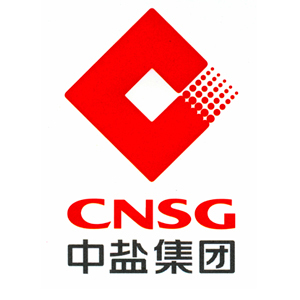 China State Construction Engineering Corporation Limited (CSCEC) is China’s largest construction and real estate conglomerate. It is a public company listed on the Shanghai Stock Exchange and ranked 37th among Fortune Global 500 companies in 2015. Specializing in building construction projects, real estate development and investment, infrastructure construction and investment, as well as design and surveying operations. The Company’s main business activities comprise construction of residential projects, undertaking of municipal public works, road works and building construction works; undertaking of airports, housing, roads, bridges, water supply, medical facilities, hotels and tourism, government projects and sports facilities and other projects; real estate development activities; construction of highway, railway, municipal, energy, petrochemical, water, environmental protection and telecommunication projects and other infrastructure works, as well as architectural design, urban planning, engineering investigation, municipal public work design business, among others. Established in both domestic and international markets, China Construction operates in more than 20 countries and regions around the world. 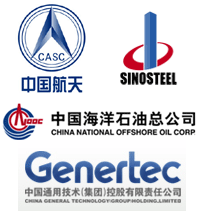 The Company continued to enhance its infrastructure investment, construction and operation standards through high-end integration, investment/financing and business model innovations, revolving around the three major national strategies: the “Belt and Road”, “Jing-Jin-Ji Integrated Development” and “Yantze River Economic Belt”. During 2015, the value of newly executed infrastructure contracts exceeded RMB300 billion for the first time and hit RMB 314.0 billion, up 26.7% YoY. The Company has devoted itself to creating a fully integrated investment platform for “new urbanization” construction initiatives focusing on ten selected tier-1 and 2 cities. In international contracting, China Construction is the countries largest international contractor and also the first to launch international contracting in China. With the encouragement of the Chinese government and financing assistance from the Export-Import Bank of China, CSCEC has taken increasingly bold steps as a builder and investor of overseas projects. By the end of 2015, its total contract value for overseas business was US$80.7 billion and total turnover of US$52.4 billion. China Construction has so far completed over 5,600 projects in some 116 countries and regions around the world. 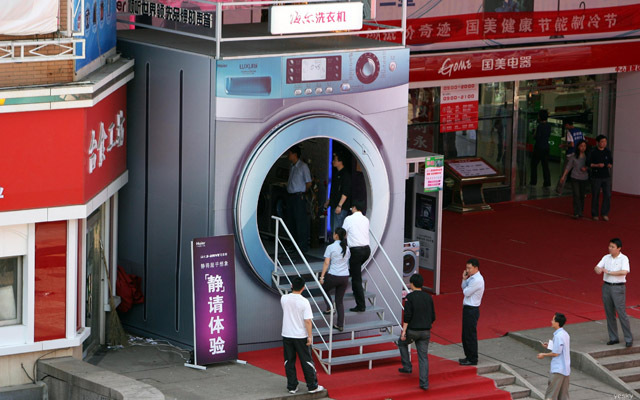 Major Earnings in 2015 were: total revenue of RMB 880.6 billion, up 10.1% YoY. Specifically, revenue from the housing construction business was RMB 588.3 billion, up 6.0% YoY; revenue of the infrastructure business was RMB 141.4 billion, up 19% YoY; and that of the real estate business was RMB 142.4 billion, up 15% YoY. St James Suites in New Zealand, with the contract value of NZD130 million. Renovation Works of 67 Municipal Roads in Libreville of Gabon. Nairobi BULK Water Supply Pipeline, with the contract value of approximately USD 70 million. CSCEC Middle East has been award the management facility project in Kuwait Sabah Salim University City. Eastern Technological University of Panama Project with the contract value of US$176 million. Oran Shopping Mall Project in Algeria with the value of US$99 million. Concrete Supply Contract for a Package of Projects of China-Kazakhstan Khorgos Border Cooperation Center. Crude Oil Refinery Plant in Lagos, Nigeria, with daily processing capacity of 400,000 barrels. Indonesia Jakartar, Twin Tower Project. Municipal road construction project of Nkayi City of Bouneza, Republic of Congo. Commercial apartment development: 99 Hudson Street, New Jersey. 62km Road Project in Zambia, with the contract value of ZMW177 million. Dubai high-rise hotel project with the contract value equaling to US$94.82 million. 190km road project in the West Province of Zambia, with a contract value of USD 200 million. National Stadium Project in Ethiopia. The total contract price is USD$ 120 million. COFCO Corporation is a leading supplier of agri-products, diversified foodstuffs and services in China, integrating agri-trading, logistics, processing, production and sale links, and providing grain and oil products to one quarter of global population. At present, COFCO owns over 180 processing factories domestically with 2.3 million terminal points of sale covering 952 large and medium-size cities, and more than 100 thousands counties, towns and villages. COFCO has more than 10,000 employees in more than 70 nations and regions working in various overseas markets, mainly in Asia, Latin America and Europe. It plans to further improve its capability in maritime transportation and food processing, as well as the entire supply chain services in seed, pesticide and fertilizer businesses over the next five years. Facing increased food security issues from factors such as extreme weather and dwindling farmland resources, COFCO is increasing becoming a global giant. The company is building grain and other agricultural product supply chains, particularly with countries in the Black Sea regions and South America, the world's two biggest grain-producing areas. Last year, COFCO invested $1.5 billion for a 51 percent stake in the agribusiness operations of Hong Kong-based Noble Group, and reached an agreement with the Netherlands-based agricultural and commodity trading group Nidera BV to acquire 51 percent of its stock, which will see a fully integrated value chain created between the firms. The acquisitions mean COFCO now holds more than $70 billion of assets and has a storage capacity of 15 million metric tons in more than 60 nations. Its total food processing capacity has reached 84 million metric tons and it is capable of shipping 44 million tons of agricultural products via various ports around the world. COFCO has committed to deploying resources and manpower along the Belt and Road Initiative routes over the next five years to help guarantee China's food supply at home and to its key markets overseas. Though the initiative is still in its early stages of development, it has strong implications for many nations along the routes that count on agriculture and international agribusiness cooperation. Many countries along the routes are key global grain producers, and COFCO will continue to seek investment and cooperation opportunities with them over the next five years. China has over 100,000 State Owned Enterprises (SOE`s), mostly controlled at a local government level. The list below comprises the largest 117 supervised by SASAC. 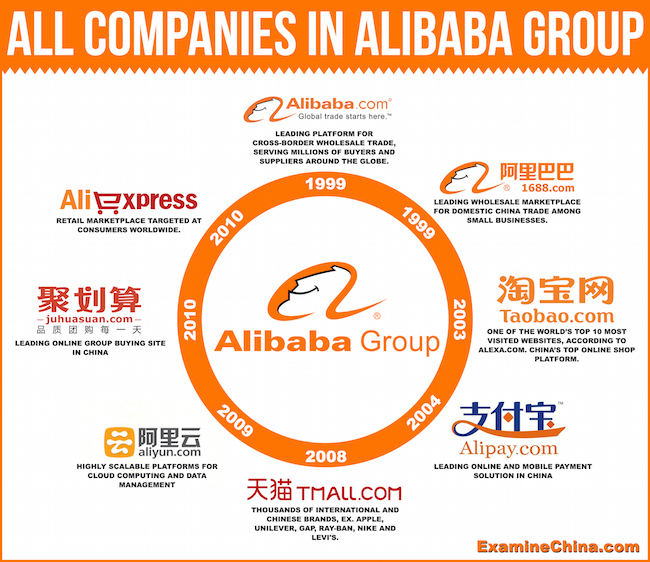 These are some of China`s largest and most influential companies, powering and supplying the headline growth rates not to mention the vtal role they play in povding Social Security for ther employees. The success or failures of this group will define the current re-balancing of the Chinese economy. 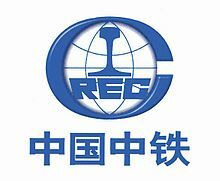 15 China Southern Power Grid Co., Ltd.
24 China United Network Communications Group Co., Ltd.
30 China National Erzhong Group Co.
48 State Development & Investment Corp.
52 State Nuclear Power Technology Corporation Ltd.
53 Commercial Aircraft Corporation of China, Ltd.
56 China Huafu Trade & Development Group Corp.
57 China Chengtong Holdings Group Ltd.
58 China National Coal Group Corp.
59 China Coal Technology & Engineering Group Corp.
70 Huacheng Investment & Management Co., Ltd.
71 China Hengtian Group Co., Ltd.
72 China National Materials Group Corporation Ltd.
74 China Nonferrous Metal Mining (Group) Co., Ltd.
87 China National Agricultural Development Group Co., Ltd.
89 Sinotrans & CSC Holdings Co., Ltd.
99 Xinxing Cathay International Group Co., Ltd.
108 China Guangdong Nuclear Power Holding Corporation Ltd.
109 China Hualu Group Co., Ltd.
110 Alcatel-Lucent Shanghai Bell Co., Ltd.
116 China Railway Materials Commercial Corp.
117 China Reform Holdings Corporation Ltd.